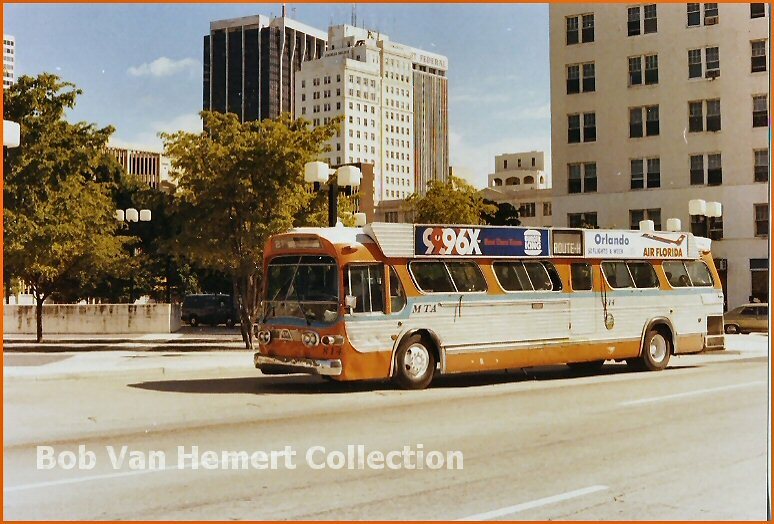 The 800 series was another GM "New Look" order, this time for 100 buses numbered 800-899. 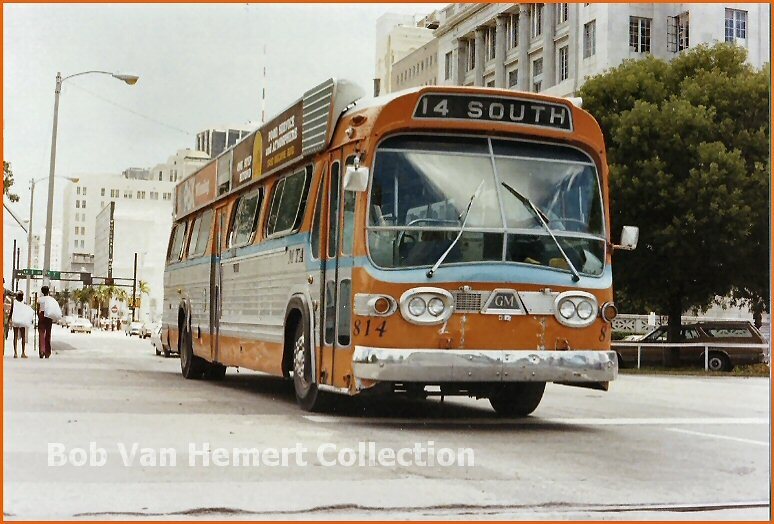 They had the Detroit Diesel 6V71 engine mated to the Allison VH9 two-speed transmission. The were configured to 51 seated passengers. 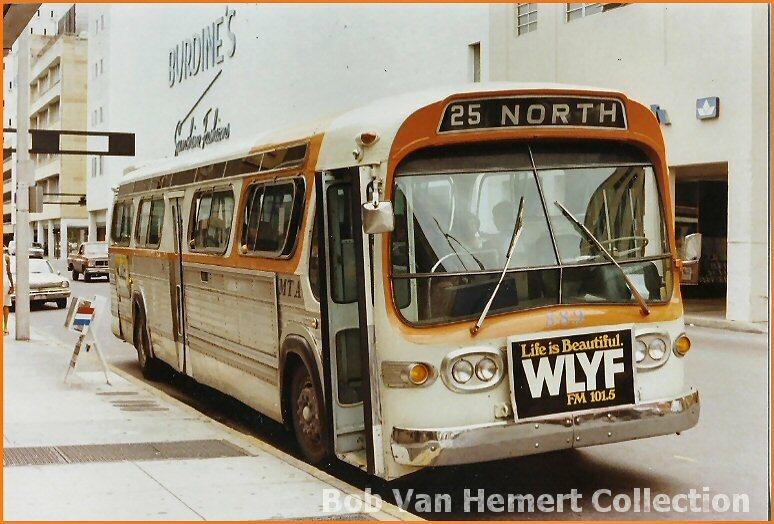 The last of these venerable work horses were retired in early 1985 giving them a service span of 19 years. 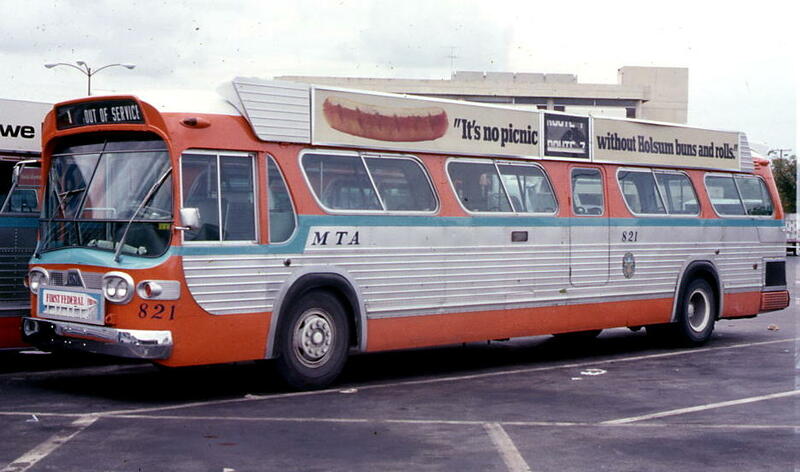 Bus # 800 in an unknown location. 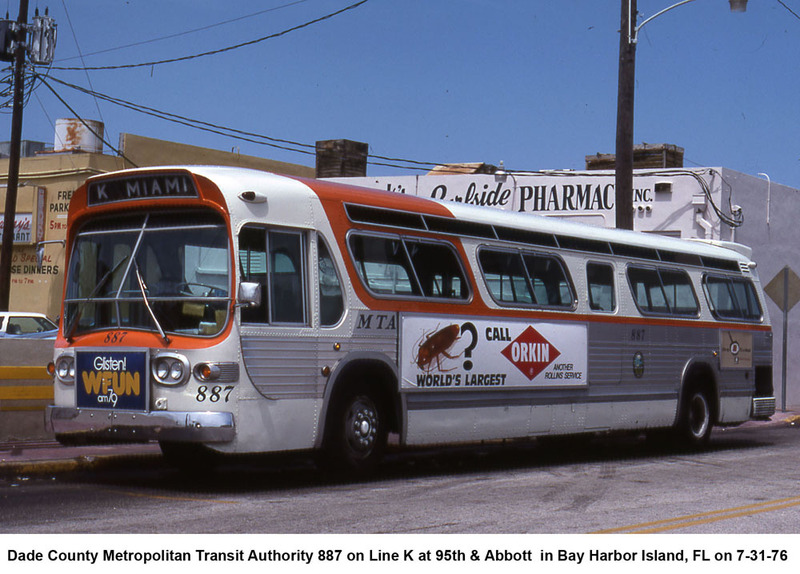 Bus 889 on an Opa Locka bound 25 and 869 in original livery headed to MIA, Coral Gables and Westwood Lake on the Route 34. 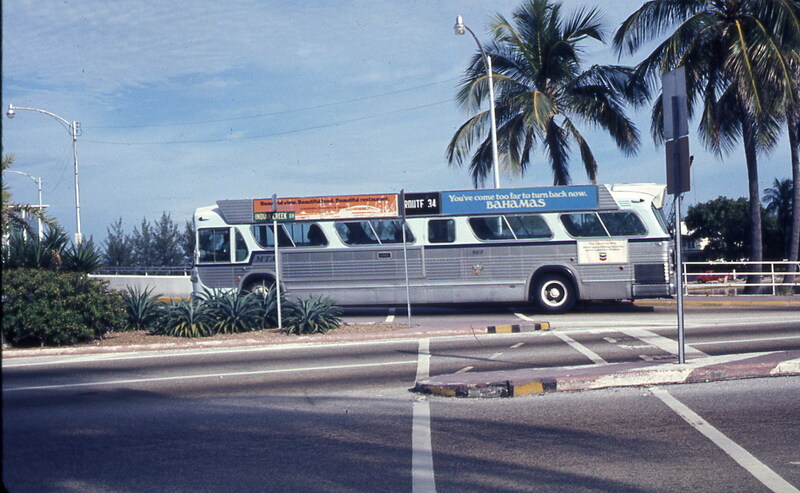 Bus 814 was one of the last of the 800 series to be retired. 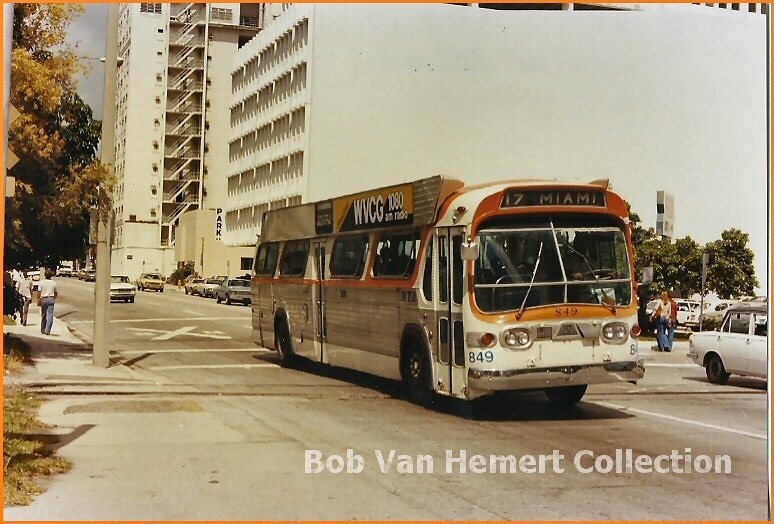 Bus 841 sits on 72nd street on Miami Beach headed for Westchester on Route 34. 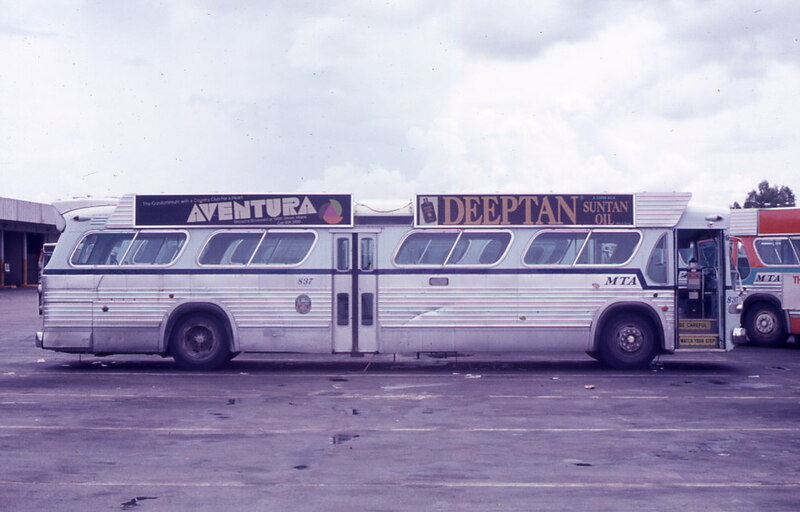 Bus 821 in "Dolphin" livery and 837 in the original livery sitting at Central. 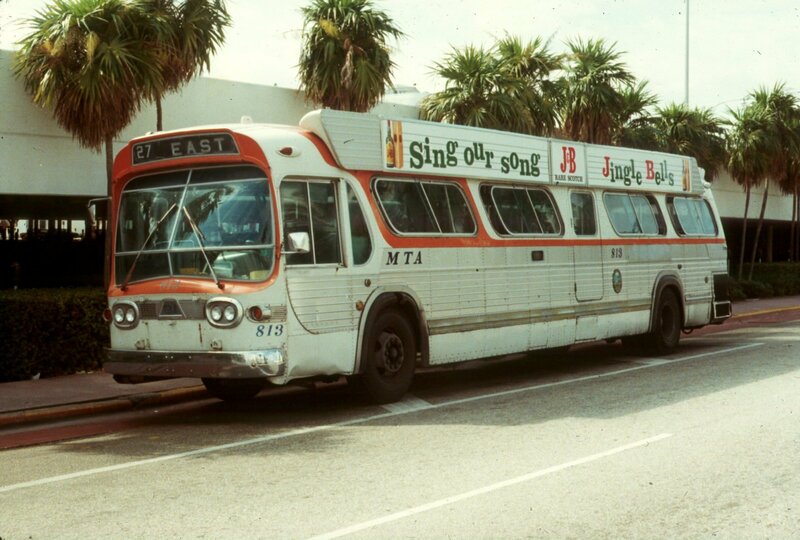 Bus 813 on 17th street in Miami Beach. 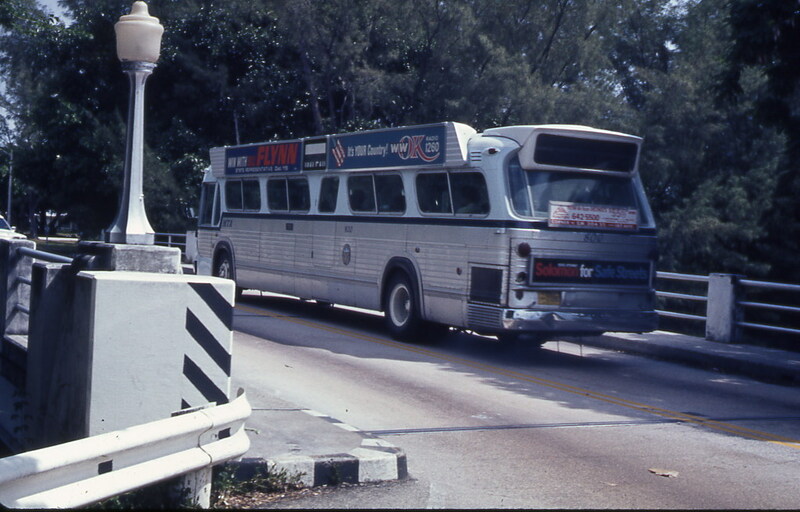 The EOL for Route 27 that traveled to Coral Way and 12th Avenue via South Beach, Overtown, and the Civic Center. 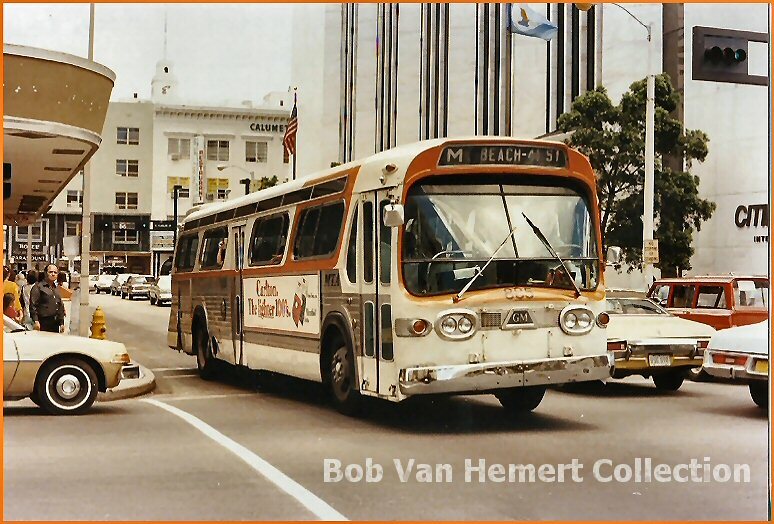 Bus 849 crossing the then out of service FEC tracks near SW 1st and 1st Avenue. Bus 885 on an M route headed to 41st street and Mount Sinai Hospital.